It is a little bit grim what happens to pumpkins. The seeds are planted, they spend all summer collecting energy from the sun, and nutrients from the soil and water, and then we eat them. 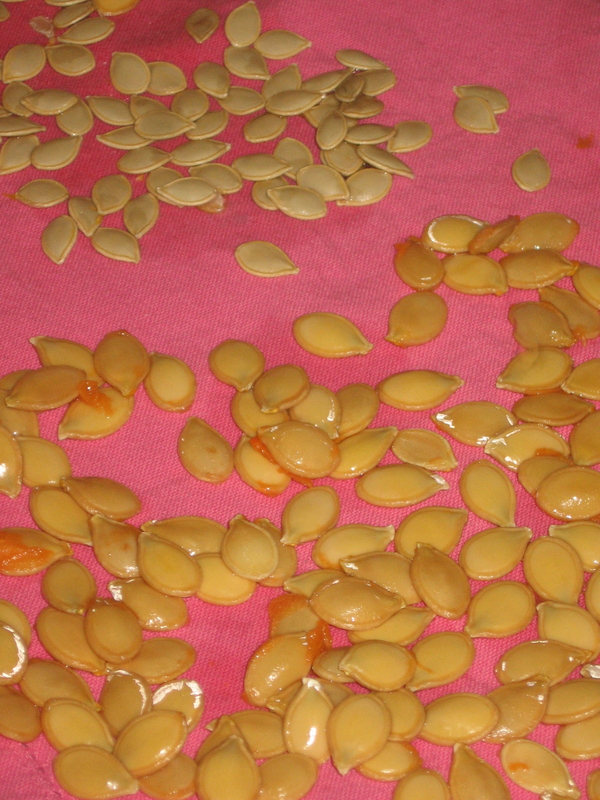 Scrub, de-stem, seed, and bake in the oven in a tray of boiling water. 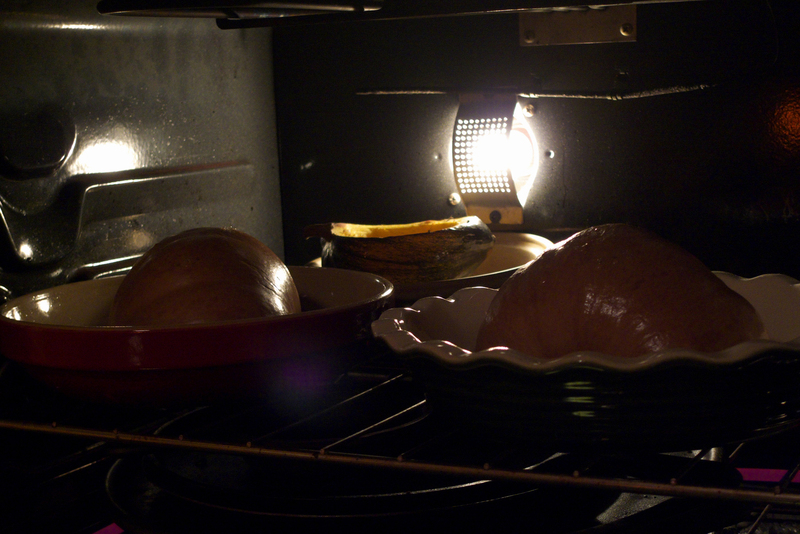 Jay took the picture above in the oven with his camera that can capture lovely dark images! I love my pumpkins. 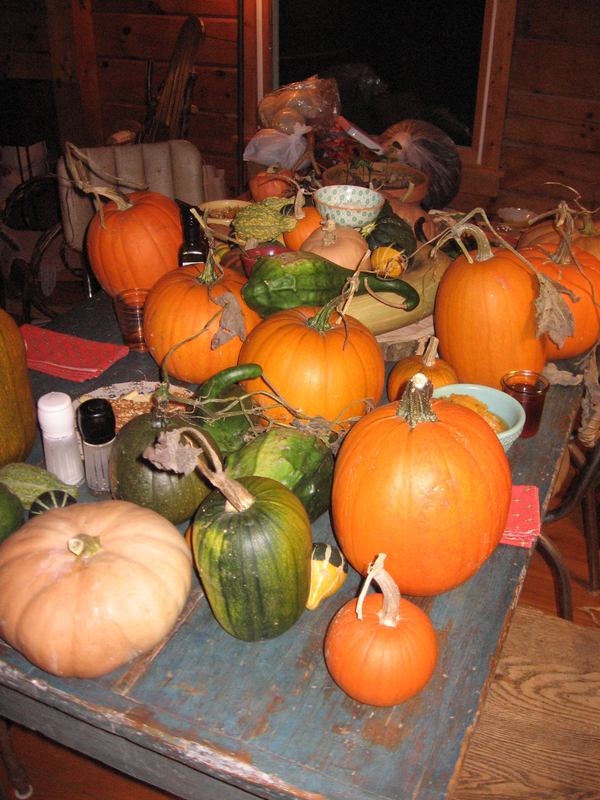 Jay came over today to see the harvest (which was rather small…) and we decided to make a pot of pumpkin soup. With a Long Island Cheese variety. 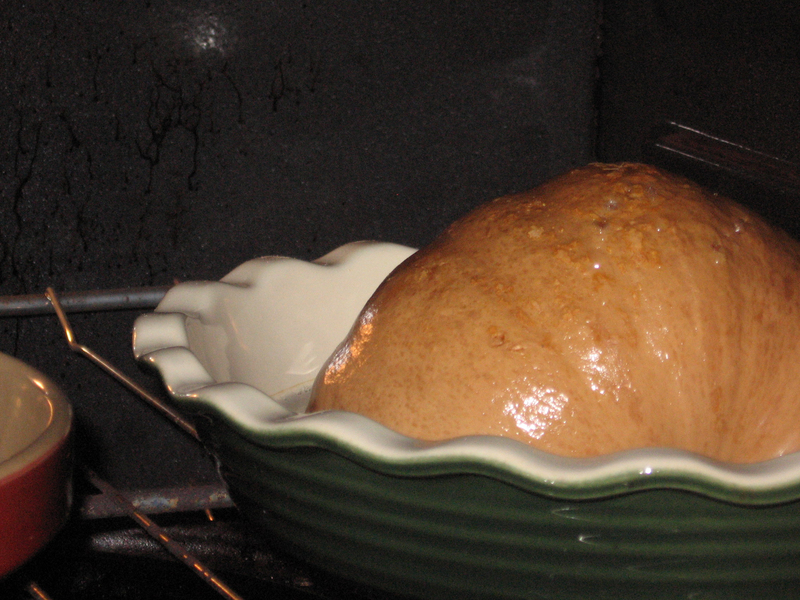 We baked the pumpkin in a 400 degree oven until it was tender, and the top had browned. I mashed the pumpkin flesh with a fork, and added it to a mixture of sauteed onions and garlic, parsley, and a little bit of parmesan cheese rind ready on the stove. After we mixed everything together the soup was pretty much finished. It was bubbling on the stove for five or ten minutes, and then we served it up. We garnished it with fresh parsley, grated parmesan, and toasted pumpkin seed oil (a real treat!). We managed to find little spots on the table to eat. I was definitely knocking elbows with pumpkins throughout the meal, but it was fun anyways! Bake pumpkin cut side down in an inch or so of water in a 400 degree oven. 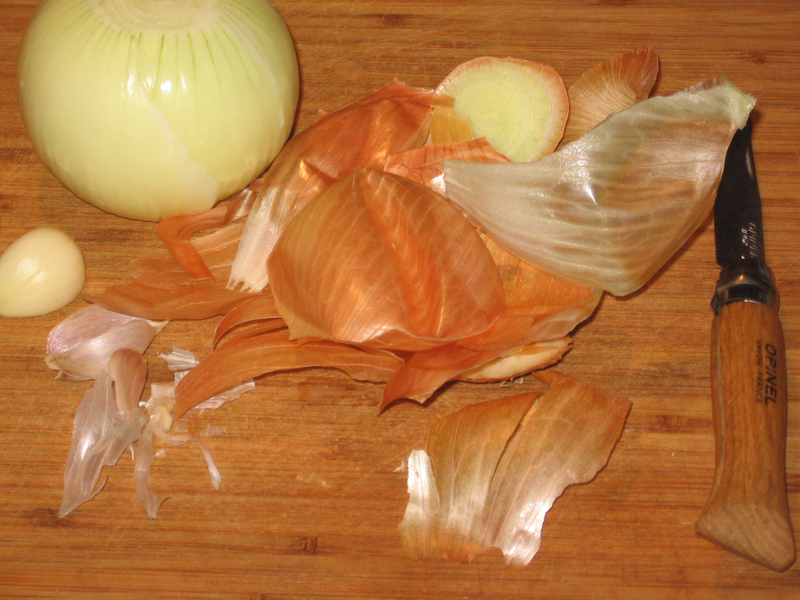 Meanwhile, chop and sautee onions, and whole clove or two of garlic in olive oil over medium low heat. 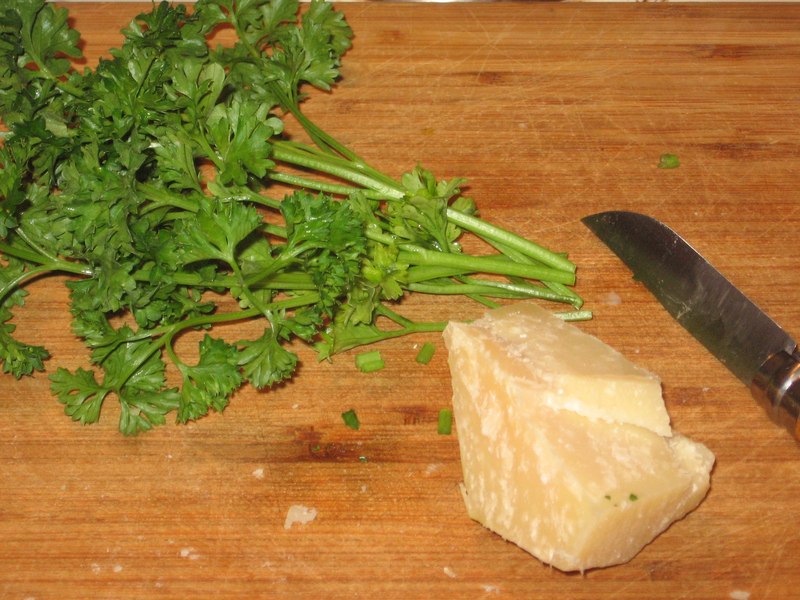 Add some salt, and then after a few minutes the chopped parsley and parmesan rind. Stir for about a minute or so, then add a tiny bit water and let simmer for a few minutes and then set aside. 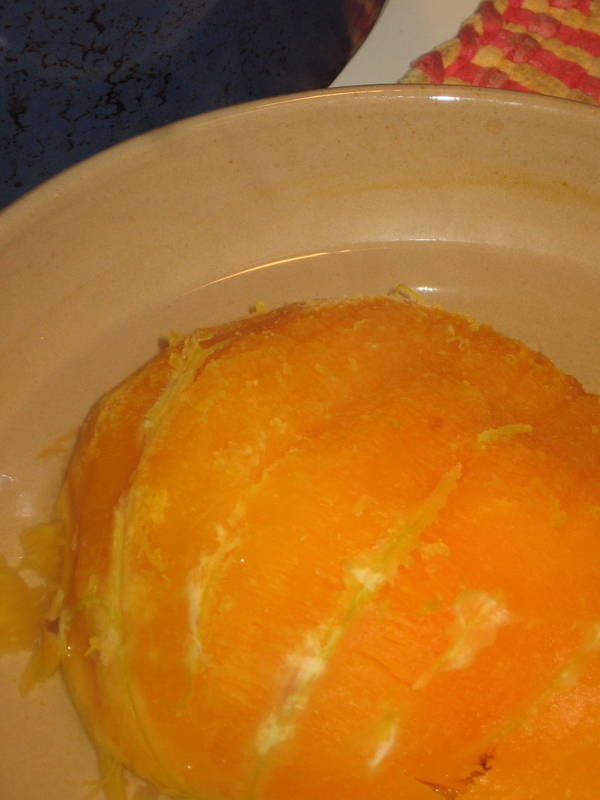 The pumpkin should be about done here, and you can scrape it right from the shell and add directly to the soup. 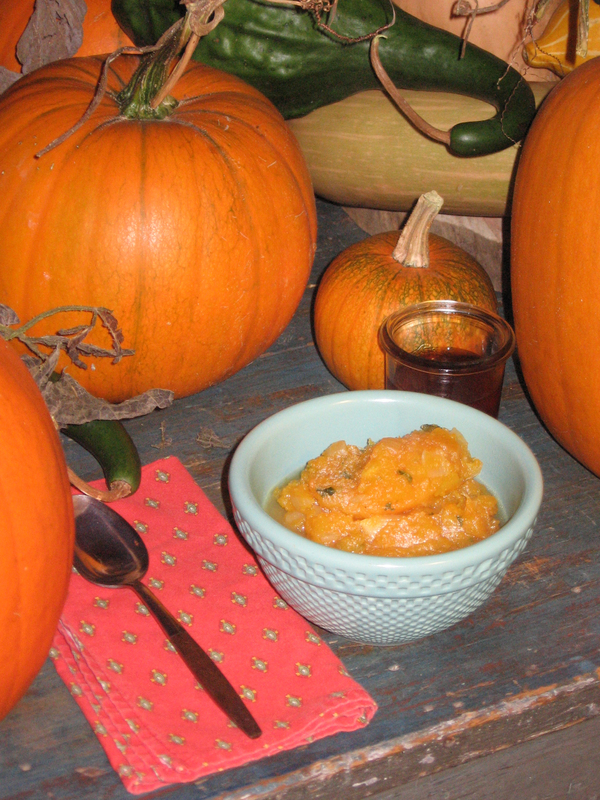 I used the water from baking pumpkin for the soup instead of broth or fresh water. Stir everything well, and blend or put through a food mill if you like. Let the soup simmer for ten or fifteen minutes before serving. Garnish with extra chopped parsley, freshly grated parmesan cheese, salt, pepper and toasted pumpkin seed oil (all optional).